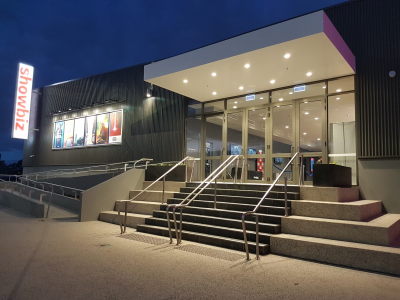 Delivering up to 11,000 native lumens of brightness for screens up to 35 feet, the 3D-capable Christie CP2208-LP is virtually maintenance free with no lamps to change, offers a low total cost of operation, and a low carbon footprint for theater owners. It is available as a complete system with the optional Christie IMB-S2 integrated media block and also works with other, popular Series-2 IMBs. It delivers superior content flexibility as its counterparts in Christie’s cinema portfolio with its ability to display DCI content, alternative content, 3D content and even content produced for display at high frame rates​.